St Luke's was originally founded out of the parish of St Paul's Portwood, which was nearer Stockport town centre. St Paul's church was opened in 1851 when Portwood consisted mainly of terraced housing for the workers at the cotton mills that were springing up along the banks of the rivers Tame and Goyt. The population later expanded into Lower Brinnington. The parish boundary was equivalent that of the old manor of Brinnington. The higher ground in Brinnington was sparsely populated farmland. 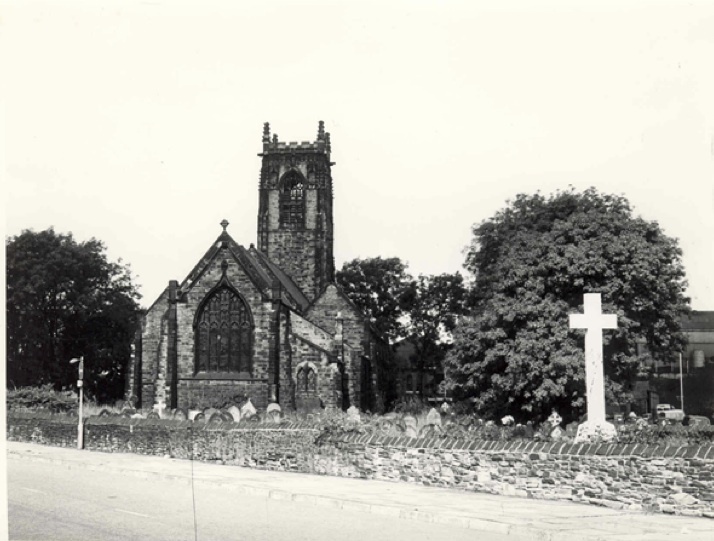 In 1950, when Stockport Council began building the modern housing estate in Brinnington, it became apparent that there was a need for a church in Brinnington. On the 5th of September 1954 the people of St Paul's launched a mission in the 'Black Hut', a temporary community centre.. On Sundays St Paul's hsared the Black Hut with missions from the Roman Catholic and Methodist churches. The scheme was a success. St Luke's was born and funds were raised to provide a permanent building, a church hall and temporary church, and this was opened on 30th May 1959. A new parish was created, separate from St Paul's, a vicar was appointed, and the church followed. The existing building was consecrated on 30th May 1965. Unable to survive the decline in its congregation and its fabric, St Paul's church closed in 1971, and St Luke's parish was extended to take in that of St Paul's. St Luke's effectively became the successor of the former church and parish. 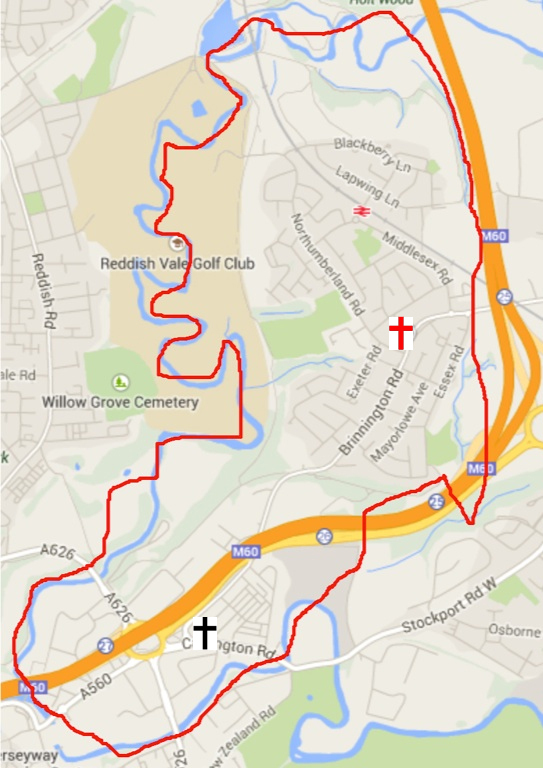 On the map the location of St Paul's church is indicated by the black cross, and St Luke's church by the red cross. In 1991-2 the church hall was renovated, enlarged, and then reopened at St Luke's Parish Centre. Today it still continues its vital outreach to the community of Brinnington. St Luke's church has continued over the years but sadly the congregation has dwindled and is now about half was it was in its boom times. The small, but faithful and loving, congregation continues on but it is a struggle to maintain the two buildings. In 2013 the diocese agreed, with the PCC, to think again about the mission of the church in Brinnington. A new vicar was appointed to maintain, and seek to grow St Luke's, and to seek news ways of being the church in the parish. The Church believes that there is a future for ministry and mission in Brinnington and Portwood and every effort will be made to continue to be a living presence in the area. NB Some material on this page has been taken from 'Putting Brinnington on the Map 2010' and is © Brinnington Local History Group. Thank you.